For most Jews today, the two main events of the Jewish calendar are Yom Kippur and Passover. Of those two, you might be surprised to hear that Passover wins hands-down. The 2013 Pew survey found that 70% of Jews took part in a Seder in the past year, while 53% say they fasted for all or part of Yom Kippur. So, if you're out to pull Jews in, don’t pass over Passover. Get the word out to your friends, extended family, acquaintances, Jewish-guy-you-met-at-the-bank, etc., that you’re making a wild and wonderful Seder, and they’re invited. But then, you probably realize that most of those Seders will be over and done before the stars begin to twinkle. That’s unfortunate, because the Torah says to tell the story and eat the matzah at night. And here you are pitching an experience that will be uplifting and nurturing for their Jewish souls! So, invite the whole gang, and let everyone in on the optimum Seder experience. Because you are going to provide something they don’t even know is possible. Many of those families would be delighted to join together with others for a special experience, at least for the second night. If you’re a seasoned leader, and it’s not going to interrupt the flow, you might even suggest that they join you after their own Seder. If you do this right, they won’t regret it—no matter what time they show up. Because you are going to provide something they don’t even know is possible. Because I’m going to show you how, here, right now. Stayed to the end (even with the little kids). Eaten the required amount of matzah and maror, drunk four cups of wine, and enjoyed a Yom Tov meal. Contributed to the telling of the Exodus story. Learned how to make their own Seder and do it right. The first thing to know is that what you advertise is what you get. If you told people you’re making a Seder for those who don’t have anywhere to go, your Seder probably won’t go anywhere either. If you announce you are making the wildest and most wonderful Seder ever experienced in this sector of the planet, you’ll have them walking in all excited and eager to help make it that way. Kids who know the Mah Nishtanah really well and will sing it loud without inhibitions.
. . . plus people to read some of the Haggadah in English for everyone. These people will want you to invite their friends and family to be there for their performance. The most important part of planning is that you and your family must sleep the night before. I’m serious. To do this right, you’ll need energy, lots of it. And if you want to have an impact on other families, you want your own family integrally involved. If you plan things right, nothing will be left for the day before other than emergencies. Then you can greet your guests with a calm, cheerful demeanor, and stay in control the whole night. Go over the plans with family and all involved. Make sure you and your family get a good night’s rest the night before. Especially the kids. But you too. You’ll need lots of energy to do this right. Prepare short and sweet soundbites to throw in here and there. Now make them shorter. Sweeter. If you’re having a lot of people, you might want to make matzah packages in Ziploc bags of just the right amount each. That way, people won’t have to wait to start crunching after the blessings are made, plus you’ve ensured they know just how much to eat. How much is that? The very minimum is a quarter of a handmade shmurah matzah, or half of a machine matzah. Better to have twice that amount. While everyone is washing, your helpers will be rapidly distributing them. Or giving them out at the washing stations. Packages of measured maror (one ounce of romaine lettuce, horseradish or both). Washing stations. Washing is a major bottleneck in the Seder—and we do it twice. You want as many washing stations as possible. Instead of everyone lining up at the kitchen sink, you can have a few big, clean rubber trash cans ready. Even better if you can appoint one person per washing station to wash everyone’s hands, and give them their matzah bag once they’ve dried their hands. Mystery plague boxes. We’ll explain soon. This entails an intensive visit to a good dollar store or party store. It’s late. They’re tired and hungry. You don’t want to skip anything, but you want everyone to stay engaged. That includes kids, teens, young adults, middle-aged adults, elderly, know-it-alls and the completely clueless, all of whom you’ve got packed into one room. Right at the beginning of the Seder, announce that you’re anticipating a special guest. Provide periodic updates on his travel status. First he’s held up at customs (ethnic profiling issues), then he experiences cloud navigation difficulties, and finally his agent promises imminent appearance. Eventually, leak out that the guest is Elijah the prophet. 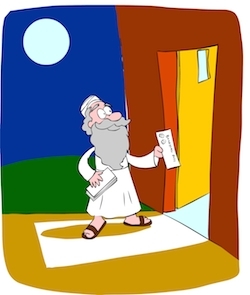 You’ve already arranged for one of the great actors of your community to slip out right after birkat ha-mazon (the blessings after the meal), wrap a white sheet around himself and show up when you get to the part where you open the door. What does he do when he enters? He hands out boarding passes for the flight to Israel. Or he can act as the steward, welcoming you to Elijah Airlines and directing your attention to the exit rows, safety features, etc. On the second night, add surprise to the suspense: Make it seem that Elijah will be entering from the front door. Direct everyone’s attention in that direction. But then, banging is heard, and some strange person—not Elijah—comes in through the back door, or even a window. Maybe he’s looking for the Glee Club Bingo Event. Or maybe it’s just one of the guests who got locked out by accident. At which point Elijah can appear at the door, while no one was noticing. And let’s all pray that this year the real Elijah turns up. Each table needs a black, mysterious-looking box, labeled: DANGER. DO NOT OPEN. Make announcements about not touching or moving those hazardous boxes. Then, at intervals throughout the Seder, elect representatives at each table to open the boxes and hold up the contents for everyone what’s inside—and explain what it has to do with the story of the Exodus. Use a toy brick. Another memento from Egypt. A chest of all the jewels we took out of Egypt, as compensation for all the work we did there: necklaces, crowns and bangles. All the kids love these (including the boys, strange as it may seem), and some adults might wear them, too. Dip an old toothbrush in red paint or borscht for the plague of blood. Every dollar store worth its cents has plenty of these. Little plastic frogs, stuffed frogs and puppet frogs are always a hit for the kids. 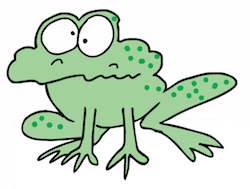 Demonstrate how the plague started with the first big frog that came out of the Nile. 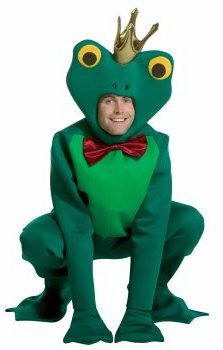 If you got that frog costume, you can act out the whole story. Lions, tigers and bears for the plague of wild beasts; cows and sheep for the plague of pestilence that struck the livestock; and a giant grasshopper for the plague of locusts. Each plague in its own box. This is ointment for the plague of boils. Foam balls—find them in the craft section of the dollar store. Great for the plague of darkness. You’ll have kids and grownups all trying on the silly sunglasses the whole night. (If you don’t find these at the dollar store, you or your kids can make them out of plastic headbands and felt.) This is a great thing to do if you have a lot of kids at the Seder. They each wear a flower headband, somebody waters them, and they grow out of the ground like flowers. You explain that the Jews hid their children in the field, and when the Egyptians plowed the earth, the kids sprouted out of the ground like grass. If you’re making a public Seder on the second night as well, make sure to keep some of the boxes shut until then. Decide what you’ll use for each night. These boxes will help keep things moving and exciting. Get them involved and active right away. The first thing that happens is that everyone fills a cup of wine for their friend. Use this opportunity to make a few jokes and create a fun atmosphere. Tell the story. This is going to be a multidimensional, interactive experience, fun for everyone, including the kids. Eat a kid goat. Oh wait, can’t do that—we’ll take a raincheck for when our Temple’s built. The big mitzvah of the night: Eat a lot of matzah. Drink four cups of wine—don’t miss the last one at the end of the Seder. Eat some bitter herbs . . . or at least some romaine lettuce. Remind everyone that the most vital thing to have at a Seder is the Jew. The matzah you’re eating tonight didn’t leave Egypt, the maror didn’t leave Egypt . . . but the Jew left Egypt. The presence of the Jew is what makes every other aspect of the Seder come alive. Things like these can be said as the Seder goes on, as long as they’re short and sweet. Rabban Gamliel used to say that anyone who didn’t mention the following three things on Passover, didn’t really do the Seder right. Actually, he didn’t just mean to mention them. He meant to explain what they’re there for. So, let’s do that. Since we’re Jewish, we always start with a question: So, everyone together now . . .
. . . and then go on with everyone explaining out loud those three essential elements of the Seder. Sing songs together. For English songs, you’ll need to print out song sheets in advance. 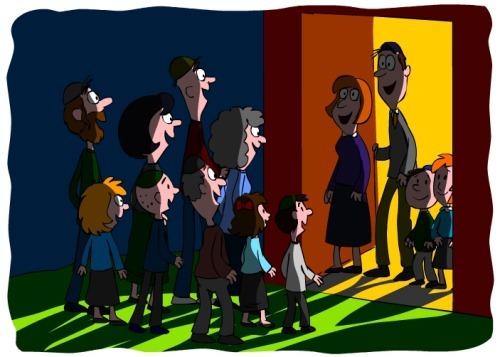 For Hebrew songs, tell everyone there are two basic lyrics for Jewish songs—they’re either about you or your mother: “I I I” and “ma ma ma.” That way no one will feel left out when everyone else is singing in a different language. You: Where are you coming from? You: Where are you going to? Kids: To the Land of Israel! You: Who are you going with? Keep lots of prizes handy, like necklaces and frogs. Give them to the kids who sing and who ask the Mah Nishtana. Don’t just recite the Haggadah; make it come alive. With the right translation, you can say the Haggadah without anyone even realizing it. Some of the Haggadah can be read all together, some can be read in groups at each table. Just tell them all to stop and wait when they get to whatever page you’re going to do together. You can dramatize a lot of the Haggadah, too. Put your props and actors to good use. Act out the story of Rabbi Eliezer, using a white beard for a prop. Act out the four sons. Open those black boxes every now and then—you can open a few when you get up to the ten plagues. And keep giving updates on the ETA and travel status of your special guests. Most importantly, you need energy, you need to rehearse, and you need to be fully engaged. If you’ve got all this down pat, you’ll have a great Seder, and no one will want to leave. They’ll all stay afterwards for an all-night farbrengen, and fall asleep at the table. If you’re really good, they’ll never come back again. Because they’ll be making their own humongous Seder for all their friends and family. Over the past 40 years, Tzvi Freeman has run a public Seder almost every year, at various Chabad Houses and Pesach resorts. Rabbi Freeman is a senior editor at Chabad.org, and author of several books, including two volumes (third one on its way) of Bringing Heaven Down to Earth. For bio, info and more articles by this author, click here. 1-Bubble wrap sheets cut into squares make a substitute for boils. Eliahu Hanavi My daughter cried during the Seder, when Elihu was not waiting outside when we opened the fromt door! All the previous days she had helped her mother clean the house and prepare for his arrival. So kindly, a) Either tell use what we must door next time to be sure of his arrival or b) Give us some advice for what to tell children (and ourselves) when he fails to put in an appearence.